Got a craving for country living? Prefer casual simple comfort? An affinity of basic furnishing? If you replied ‘yes’ to some of these questions, the country style might be the right fit for you! 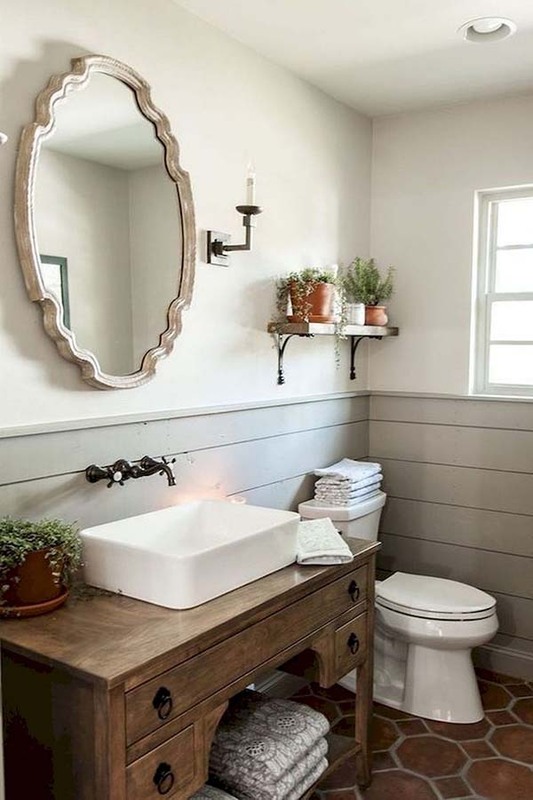 Integrate rural references, ancient bath, cute patterns, and farmhouse style furnishing to craft a serene, easy-feeling country bathroom at your home. To start, I’ve got an example of a perfect country bathroom decor for you. The farmhouse elements are well integrated into this lovely contemporary space. The natural foliage gives a strong fresh accent of color. 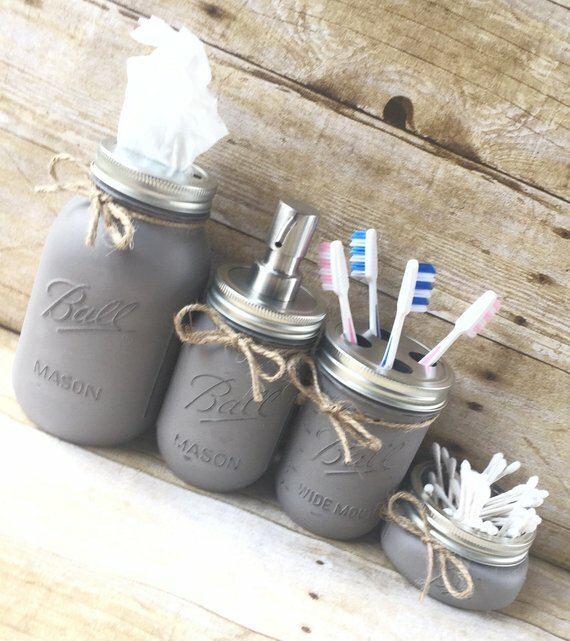 If you want to re-create a rustic country bathroom decor, this beautiful DIY set of Mason Jars, including one for tissues, a soap dispenser, and a toothbrush holder, might help you. Choose the color that will fit you best and go for it! Do you wanna be different? 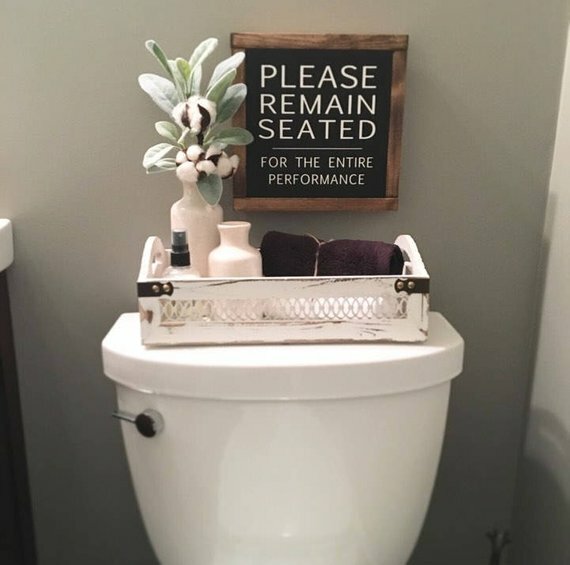 I’m sure that you will fall in love with this unique country bathroom wall decor – a fun handmade “Please remain seated” bathroom sign. 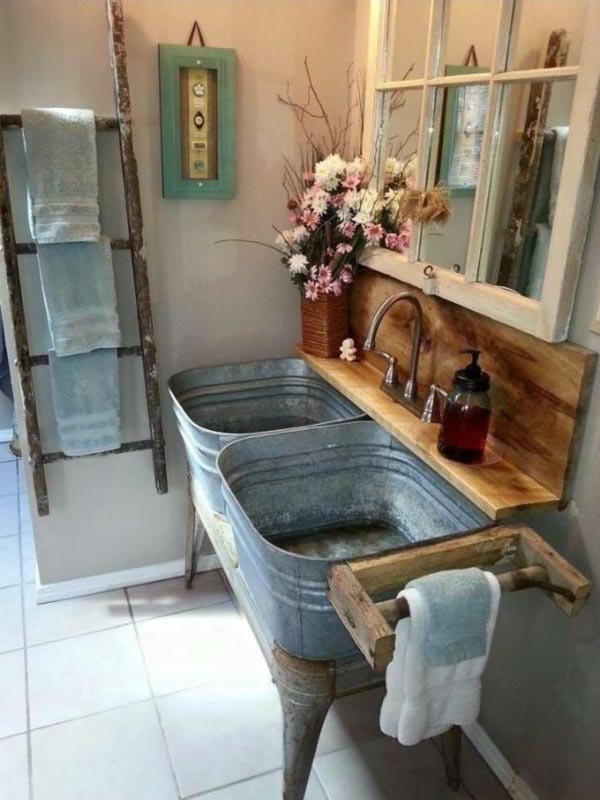 The galvanized bucket used as an ad hoc sink is a timeless country themed bathroom decor. It is inexpensive, durable, rust-resistant, and easily fit the rest of the interior. 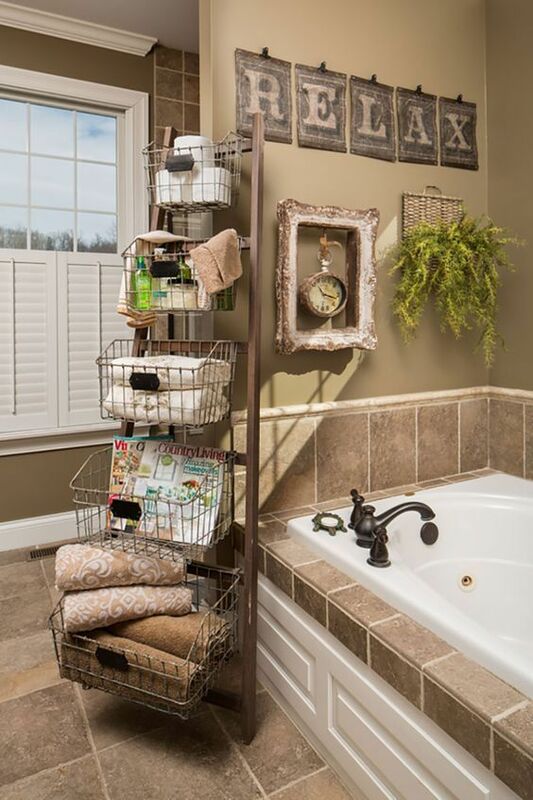 The French country bathroom decor on the picture above presents a homey ladder shelf made of rustic wood and rope. The designer combines several techniques such as calligraphy, woodworking, carpentry, and painting. Such a wonderful piece of art! Pick up some soothing paint for your farmhouse style bathroom walls to create a relaxing vibe, great for a good soak after a long day. This design, in particular, gives you tons of smart country style bathroom decorating ideas that won’t necessarily cost a fortune. It is a great country bathroom decor that would complement the style of every cabin interior. 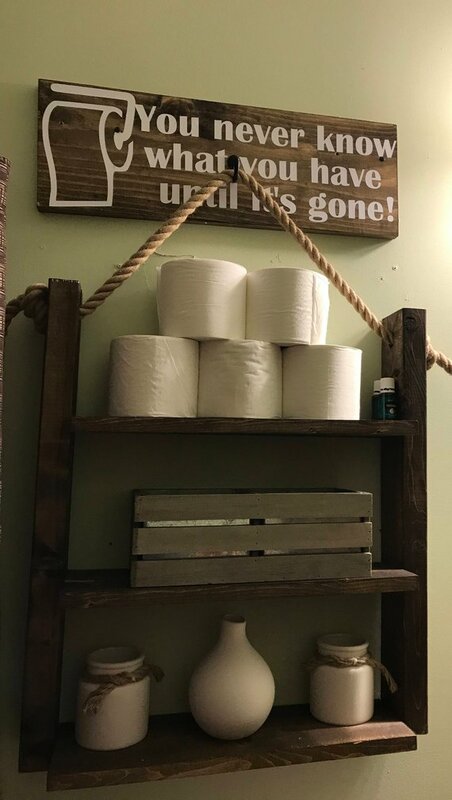 If you want to enjoy a unique, one-of-a-kind country primitive bathroom decor, why don’t you have a look at this beautifully made, custom designed bathroom vanity? It reminds me of my grandma’s old house in the countryside. Here is another country bathroom wall decor I’d love to show you! This lovely set of 3 turquoise jars that are firmly fixed to knotty pine wood is a refined detail to create a romantic bathroom design. 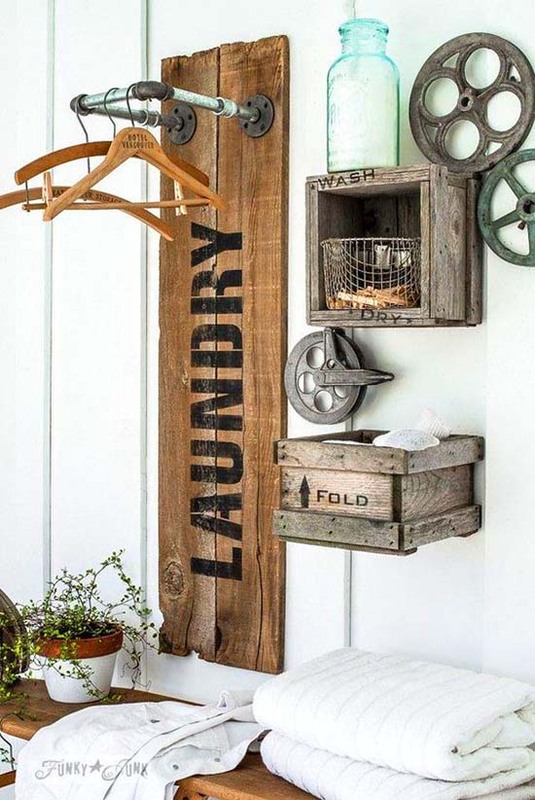 Continue the rustic feel by using this fun farmhouse inspired bathroom wall sign, fully made of natural material. It surely makes a strong statement. 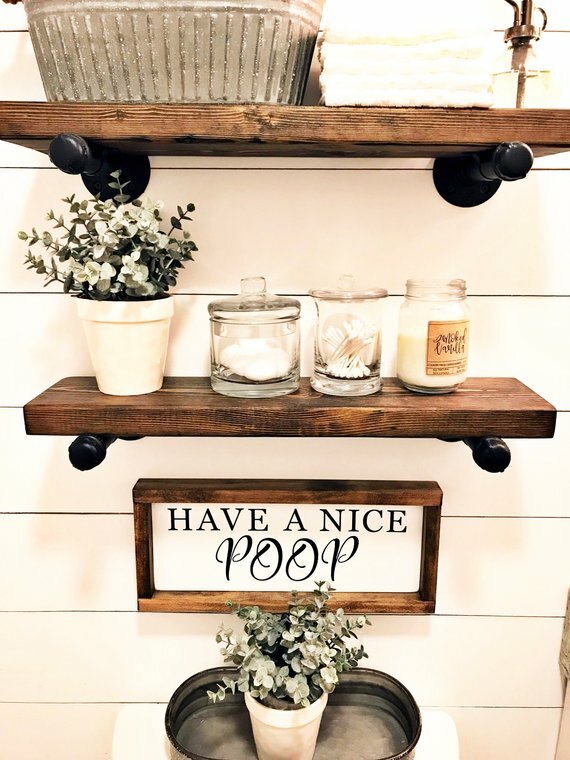 Are you planning to add it to your list of country bathroom decor accessories? 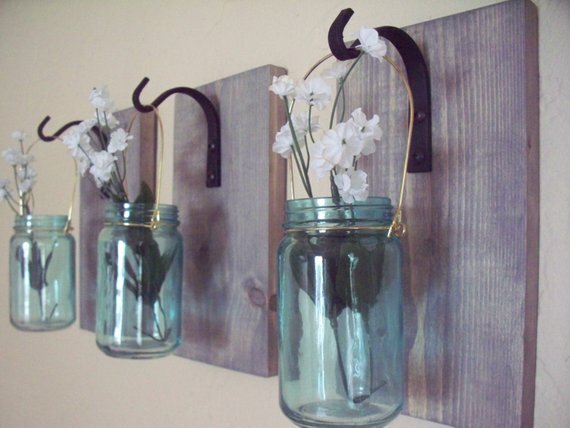 Let’s take a look at another classic DIY Mason jar set for a country bathroom decor. Designed with active, working women in mind, these painted Mason jars in a rustic wood tray help you to organize your chaotic day! 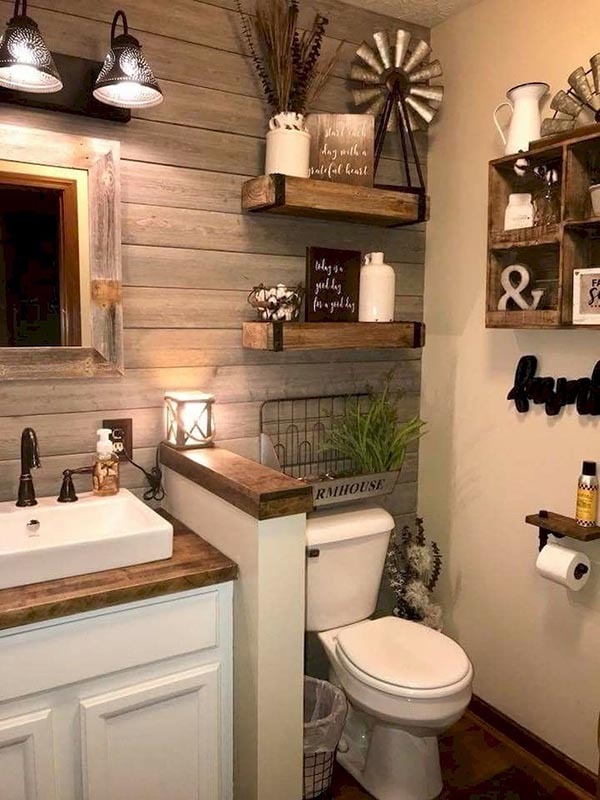 In my opinion, this is the ultimate country style bathroom decor! I love the stylish vintage elements in this master bedroom, such as the dark wooden floor, the ancient cabinets, the soapstone countertops, and the footed tub. 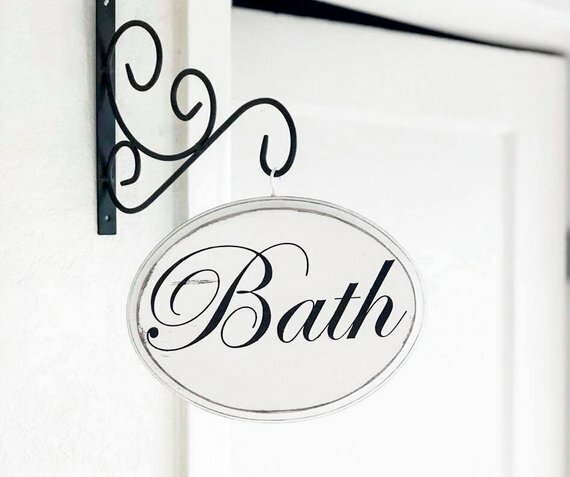 Your guests will never ask you again where the bathroom is and you get to brag with your great taste at the same time…this country-style hanging bathroom door sign is a show stopper! 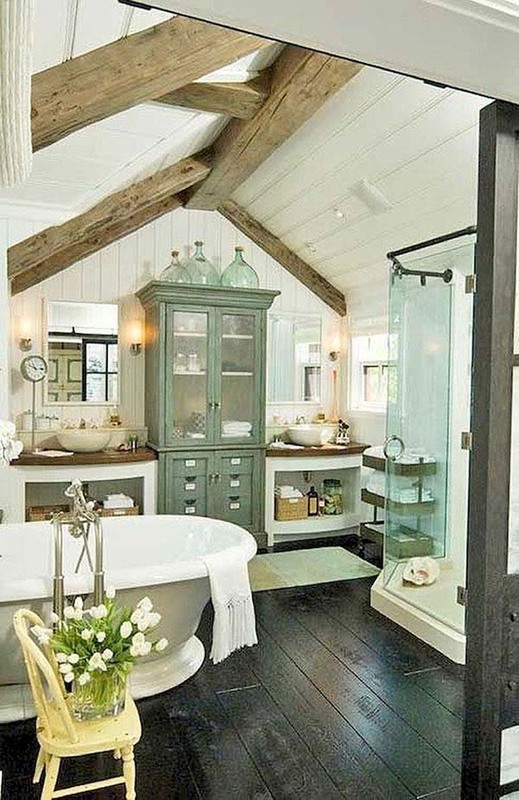 A little bit country, a little bit cottage, this master bathroom design combines the old and modern. References to the farmhouse theme include the shape of the mirror frame, the ancient cabinet, and the lighting. 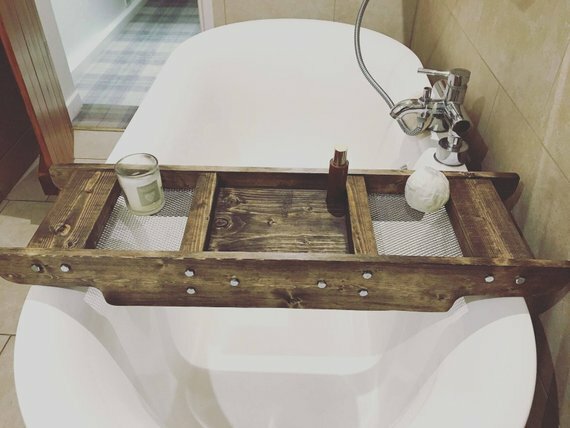 This redeemed wooden DIY bath caddy will be the ideal country bathroom decor if you want to make a strong statement. It is glazed and curved at the edges to fit cuddly onto the edges of your bathtub, firmly fixed together with galvanized coach head screws, giving it a very solid and rustic feel. 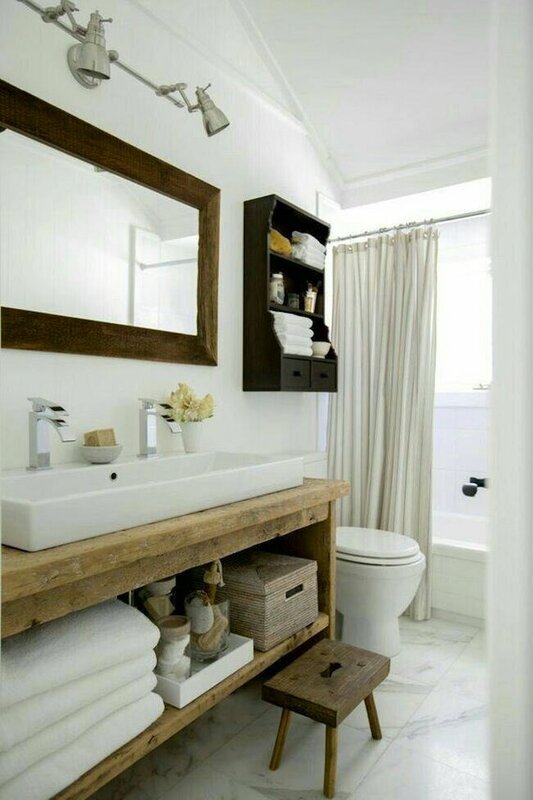 This spacious master bathroom’s vestal shine is well-balanced by a bunch of rustic vintage treasures. 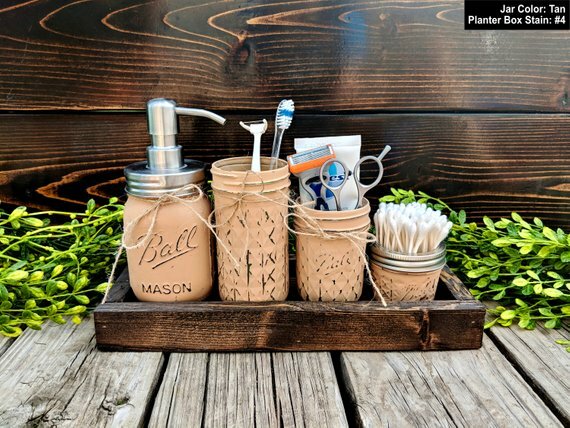 The DIY country bathroom decor sets are an adorable way to bring the farmhouse into your home. 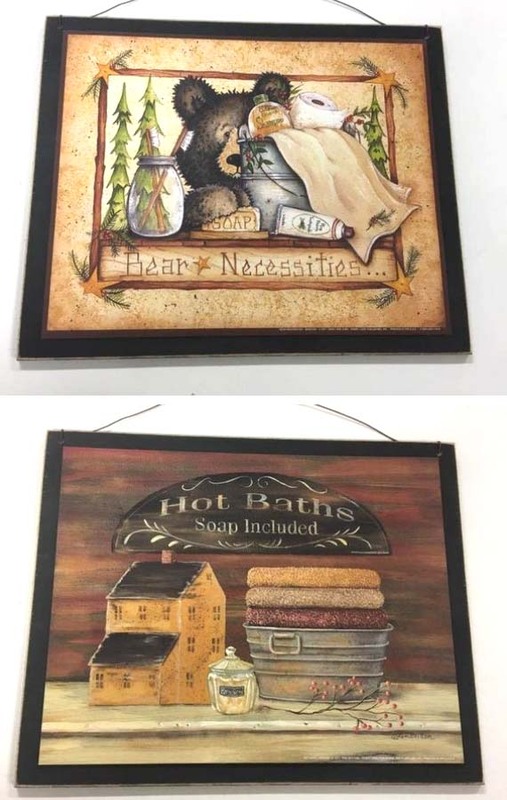 This set of 3 rustic rules wall sign will be surely the centerpiece of your master bathroom. The circle mirror and the industrial lights detailing are adding an additional charm to this tiny master bathroom. Moreover, the violet flowers keep the all-white palette from feeling too cranky or cold. 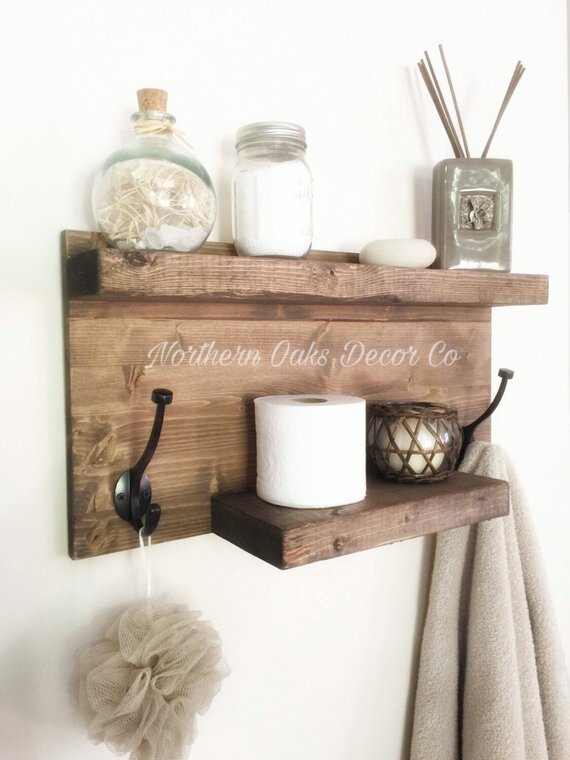 This DIY rustic shelf, made of wood and metal, is the perfect country bathroom decor and a real space-saver! Tip: You can easily personalize it with a sign or name of your choice as the logo you see is for picture purposes only. 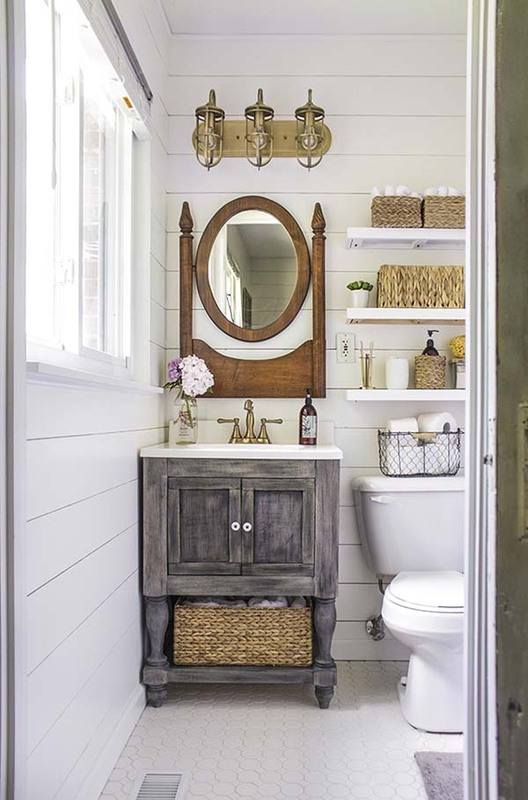 Hope you gained some inspiration to remodel your washing space and will use at least one of our country style bathroom decorating ideas to make over your bathroom with a breezy flea market touch and rough-hewn motif. Enjoy!